In the name of ~makeup nostalgia,~ I do a bit of research to see where my favorite makeup products from way back when are now and check to see what happened to the Maybelline Dream Liquid Mousse Foundation. The other night I was watching a bunch of “how I did my makeup in high school” videos on YouTube and it made me ~reflect~ on how I used to do my own makeup in high school. During that reflection, I started to wonder: what ever happened to all those products I used to use? I know for a fact that at least one of them has been discontinued (RIP), so I wanted to do some research and find out what happened to the others and if they’ve also been discontinued completely, or if they might have be repackaged/rebranded and taken a new guise, if you will. Today I’ll be talking about the Maybelline Dream Liquid Mousse foundation. For those of you who know me or have read my blog before, this might come as a surprise since I have an aversion to all things foundation nowadays, but I promise you… this foundation wasn’t used as a foundation back in the day. Instead, I used it as an undereye concealer. YES, a concealer… and I’m pretty sure I used the same shade as my skintone instead of something a little lighter, which is what I do now. But I also use a proper concealer now, so I guess that’s comparing apples and oranges. Or foundations and concealers. I specifically remember using this from my first foray into makeup in 8th grade to my sophomore year of high school and I’m pretty sure I used the same exact bottle for all those years too. 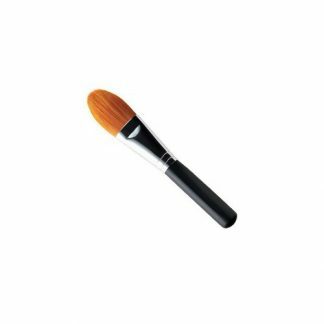 I would use a bit of this on a travel-sized flat foundation brush with a black handle by BareMinerals (which looked a lot like this – what happened to this brush too??) and then be on my merry way, no setting it or anything. Remember: this was circa 2008-2011, before baking really took off outside of the drag community. From an Allure article, I can see that this foundation won Allure Best of Beauty in 2009 and Allure Reader’s Choice in 2011 and 2012. I think I was first introduced to the Maybelline Instant Age Rewind Eraser Dark Circle Concealer right about late 2011/early 2012, which I still use because it’s my holy grail and which I credit to changing my makeup game. Since I no longer used the foundation, it fell off my radar, but judging from the article, it looks like it also kind of fell of the collective radar after 2012. Some quick Googling shows that this foundation is actually still being made and priced at $9.99, but the packaging has been updated a little bit. It was actually the packaging itself that kickstarted this whole thing as it reminds me a lot of the new Colourpop No Filter foundation and I was watching a review video on that foundation when I suddenly remembered this foundation and wondered what happened to it! One of the things I remember liking about this foundation (specifically for travel purposes) is that the top pump could be twisted to “lock” it. The new packaging seems like this is still the case, but something I’m interested in seeing is if the ingredients are still the same. Now, I’m no scientist of any kind, but I know that the FDA Cosmetic Labeling Guide requires ingredients to be listed in “cumulative descending order of predominance,” so I’m inclined to think that if the ingredients are the same and listed in the same order, the formula is probably also the same. That being said, there’s no way to tell for sure the exact quantity of everything, so even if they are listed in the exact same spots, the amounts could still differ slightly somehow, but I digress. The point is that I just want to compare the ingredients lists! Aqua / Water, Isododecane, Cyclopentasiloxane, Dimethicone, Glycerin, Cyclohexasiloxane, PEG-9 Polydimethylsiloxyethyl Dimethicone, Butylene Glycol, Dimethicone Crosspolymer, Disteardimonium Hectorite, PEG-10 Dimethicone, Cetyl PEG / PPG-10 / 1 Dimethicone, Sodium Chloride, Phenoxyethanol, Polyglyceryl-4 Isostearate, Caprylyl Glycol, Disodium Stearoyl Glutamate, PEG-9, Aluminum Hydroxide. May Contain: CI 77891 / Titanium Dioxide, CI 77499, CI 77492, CI 77491 / Iron Oxides. In orange, you’ll see that “Sodium Chloride” and “Phenoxyethanol” are swapped, and in red, you’ll see that the new Dream Satin version contains two new ingredients: “Silica Dimethyl Silylate” and “Sodium Hyaluronate.” If you take the number of ingredients before the “may contain” section of the Dream Mousse (19) and the number in the Dream Satin (21), you get 40 total ingredients for both lists. Subtract 2 from that for the 2 non-shared ingredients found in the new Dream Satin, and you get 38. If you take 38/40, you’ll see that in terms of speaking about the presence of ingredients alone, the lists are 95% similar. Based on these two new ingredients, I’m inclined to think this is where the new “moisturizing” properties of this foundation come in and why it’s now been marketed to call out the new “satin” finish. Again… my disclaimer is that I’m not a scientist or anything, but this is where my mind has been led to. I still hate you, Joff. CI 77499, CI 77492, CI 77491 / Iron Oxides Titanium Dioxide (CI 77891). As you can see from the ingredients in red that are the “non-shared” ingredients across the lists (aka ingredients unique to the list that it’s in), the ingredients seem to really differ here. Before the “may contain,” the Dream Mousse foundation has 19 total ingredients and 7 unique ingredients (aka it has 12 shared ingredients), while the Colourpop foundation has 24 total ingredients and 11 unique ingredients (aka 13 shared ingredients). This means that in terms of shared ingredients, the list is only 58% similar ((12+13)/(19+24)). I’ve never tried the Colourpop foundation myself and it’s been ages since I tried the Dream Mousse, so I can’t speak from experience on this, but judging from the list itself to my untrained eye, the formula doesn’t seem all that similar. From looking at a list of ingredients, the new Dream Satin version isn’t really all that different from the Dream Mousse – the packaging is a bit different and there are two additional ingredients, but I think at the end of the day, the “evolution” of this foundation just really shows how companies can slightly tweak their ingredients of long-established products to update them enough take advantage of the more “modern” trends. This foundation was the bomb.com back in 2009-2012 when I remember matte being all the rage, but as we saw in such trends like glass skin being more popular now, a dewy look mostly achievable by proper skincare seems to be what’s hot right now. By adding those two new ingredients in, Maybelline was able to call out “hyaluronic acid,” which I feel like is a total ingredient buzzword right now (a “buzz-ingredient”??) and the whole mention of it being a “hydrating serum” really capitalizes on the whole skincare craze. Sorry… I just really couldn’t resist. All in all, it doesn’t really seem like my beloved foundation-used-as-a-concealer didn’t really go anywhere at all – instead, it grew up a little bit and adapted to fit the times… haven’t we all, though?? I dont know who the writer is of this amazing article but I LOVE the way you write and your incredible attention to detail. Thank you so much! And i still use the Dream Matte Mouse, I will try the Satin version but i am a bit hesitate because Im very oily. We will see!